After getting a lot of positive comments during the release of the earlier editions of the shoe, Jordan Brand is set to release three new colourways of the Jordan Trunner LX 11, a cross-trainer shoe from the famous brand. 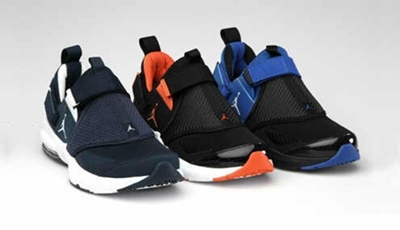 The Jordan Trunner LX 11 will be coming out in Obsidian/White, Black/Team Orange – White, and Black/White-Varsity Royal colourways this month! All three colourways are equally stunning, making it a must-buy this month especially to us Jordan Shoe lovers!